Hi everybody. I feel like I've been gone for so long! I just haven't had much time to blog lately. I have been meaning to post pics of my trade goodies for days! 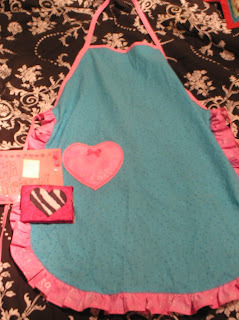 I did a little trade with Thera Joyce from Crafty Pirate and she made the cutest apron! It's just perfect. And she also included some other adorable goodies. Thank you Thera! Isn't it just too adorable?! I have just been so busy! I'm working on lots of new ideas for jewelry and accessories, and really brainstorming about ways to grow my business. I also need to find a job! There is just so much going on in my life right now, and hopefully soon there will be lots of pretty pictures and adventures to share. The thing that has been impressed on me most in the last bit of my life is that we never know how much time we have here! I want to live my life fully and try new things. Hopefully I am going to be doing some things that I have always wanted to do in the near future. and I plan to share it all with you! 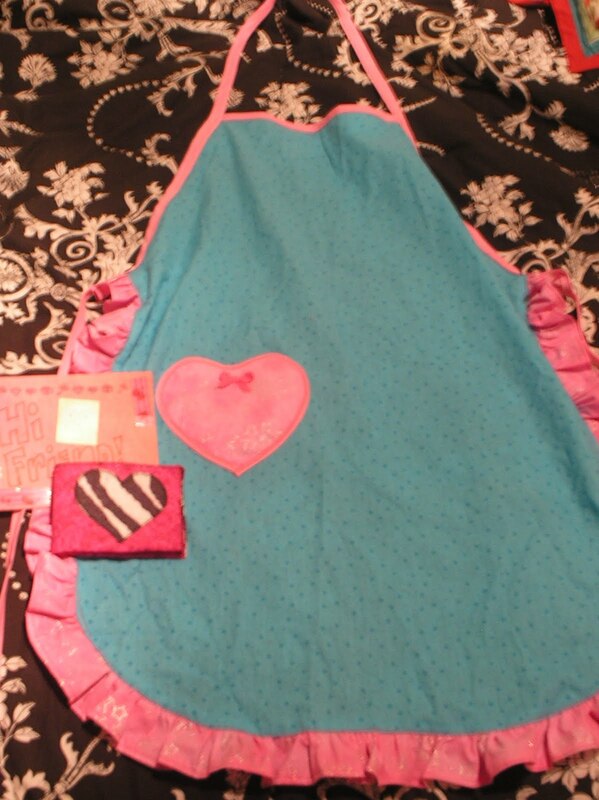 Aw, that apron is so cute! I am so jealous of your apron :( Good luck with all your new adventures! I am excited to see and hear all about it! yeah, good luck on everything! I'm looking forward for your new jewels! thanks for your comment on my diagnosis. it means a lot. & the same thing is right back at you, if you ever need to rant/chat i'm here! & i hope everything starts to make sense with your health soon. keep smiling. 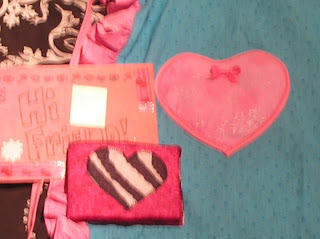 Great looking apron, I like the pink zebra. I'm now following your blog! And I have added your button to my link party page.